Categories: Storage Products, Warehouse Racks, Specialty Racks, Retail. Warehouse Rack & Shelf is the preferred retail storage racks provider to some of the nation’s largest big box home centers! We can provide a combination of retail rack solutions including boltless shelving, steel shelving, wide span shelving, pallet rack (that is commonly found in big box retail stores and home centers) and custom point of purchase displays. Open shelving allows for clear visibility of products and easy access. These retail racks can be used in conjunction with aisles to increase storage capacity by 100%, saving 50% of floor space. Multilevel retail shelving is perfect for maximizing storage space. We also specialize in back room retail shelving systems that are used in retail to store and replenish supply of products on store shelves. We partner with some of the world’s largest retailers to provide low cost efficient back room retail shelving systems. We’re able to help our customers design a shelving system that meets their needs. We are also able to provide on-time delivery that is so critical when opening new stores. Our retail racks provide an industrial look that has become so popular in retail design. Common colors are battleship gray, beige, royal blue, forest green and safety orange. 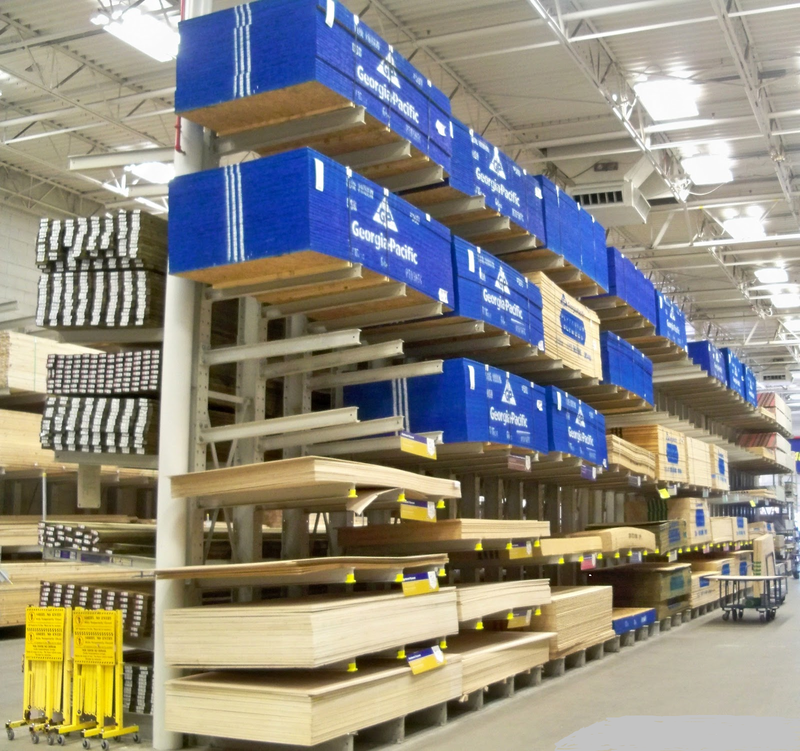 You will find industrial retail storage racks in some of the nation’s largest big box stores including Lowes, Home Depot, Sam’s Club & Menards. The primary purpose of retail space is to stock and sell product. Our retail shelving is designed to promote an enjoyable, hassle free shopping experience.